What can depth psychology and politics offer each other? 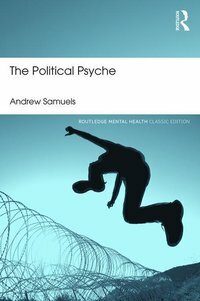 In The Political Psyche Andrew Samuels shows how the inner journey of analysis and psychotherapy and the passionate political convictions of the outer world are linked. He brings an acute psychological perspective to bear on public themes such as the market economy, environmentalism, nationalism, and anti-Semitism. But, true to his aim of setting in motion a two-way process between depth psychology and politics, he also lays bare the hidden politics of the father, the male body, and of men's issues generally. A special feature of the book is an international survey into what analysts and psychotherapists do when their patients/clients bring overtly political material into the clinical setting. The results, including what the respondents reveal about their own political attitudes, destabilize any preconceived notions about the political sensitivity of analysis and psychotherapy. This Classic Edition of the book includes a new introduction by Andrew Samuels.